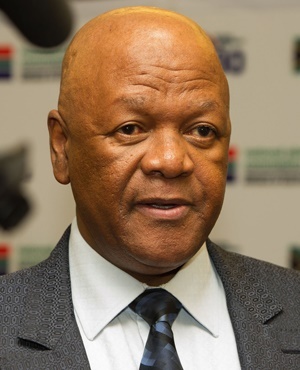 Pretoria – Energy Minister Jeff Radebe on Wednesday signed a R56bn contract, expected to add 2 300 MW of electricity to the national grid over the next five years, with 27 independent renewable energy power producers. “The 27 new projects is the biggest IPP procurement by the department to date, representing a total of R56bn investment,” said Radebe at the signing ceremony. South Africans will hold a majority 57.8% share in the project companies, while the balance will be controlled by the Public Investment Corporation and other institutions. Contrary to the view of the National Union of Mineworkers of South Africa (Numsa), Radebe said the renewable energy mix was expected to help bring down the cost of electricity, which has been escalating over the years. “The lower prices coming from the renewable energy projects will provide the much-needed relief to indigent households under the current economic conditions,” said Radebe. The Northern Cape will receive the largest share of the investments, with 15 new wind, solar PV, and CSP projects. Four new wind farms will be based in the Eastern Cape, and the North West will get four solar plants. Private sector participation in the country's electricity industry was first approved by Cabinet in 2003, in a bid to boost capacity. Independent producers would contribute up to 30% of the country’s electricity production, and the rest would come from state power utility Eskom.